The Justice Against Sponsors of Terrorism Act (JASTA) is a controversial piece of legislation, but perhaps not for the reasons most people think. JASTA’s enactment by Congressional override of a presidential veto does not make the Act controversial. Nor is JASTA controversial merely because Saudi Arabia finds its potential liability under Act to be excessive and unfair. Rather, the Act is controversial because of its potential to disrupt diplomatic communication. To understand the extent to which JASTA will impact diplomatic communication, we must first review the contents of the Act. Authorize the US court to stay a proceeding if the Secretary of State certifies that the US is engaged in good faith discussions with the foreign state defendant concerning resolution of the claims brought against it. The FSIA is the exclusive mechanism for bringing suit against a foreign government (or governmental agency or instrumentality). The FSIA strictly limits the causes of action that can be brought against a foreign government. Most commonly FSIA cases concern harm caused by the actions of a foreign government when it engages in commercial activities. To this list of FSIA-authorized causes of actions that may be brought against a foreign government, JASTA adds “international terrorism” (as it is defined under §18 U.S.C 2331) and tortious acts of “the foreign state, or of any official, employee, or agent of that foreign state while acting within the scope of his or her office.” Importantly, for a foreign government to be liable for such terroristic or tortious acts, more than “mere negligence” must be demonstrated. Further, acts committed in a time of war are not covered. The Halberstam case concerns a husband and wife team who grew wealthy through multiple burglaries. During the last of the husband’s burglaries, he killed the homeowner. Although the wife was not present during this burglary, the Halberstam’s estate sought damages from the wife under a theory of vicarious liability. Putting these pieces together in the context of an international act of terrorism, JASTA allows a cause of action to be brought against a foreign government if that government recklessly or intentionally had an agreement with, or provided substantial aid to, the perpetrators of the terrorist act. So much for theory. 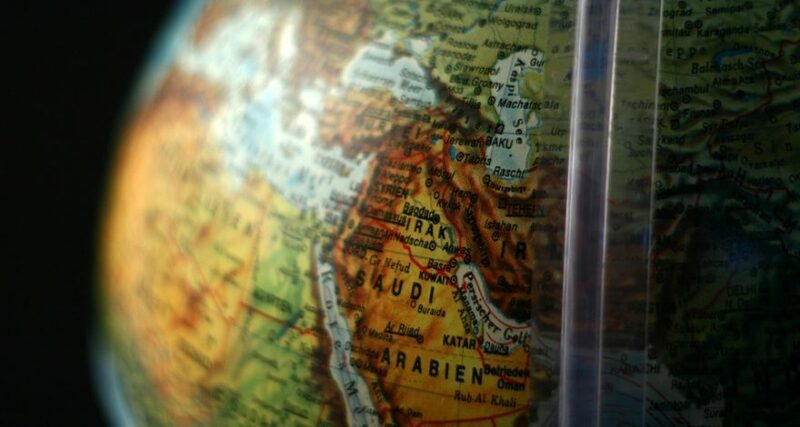 To determine if JASTA places Saudi Arabia’s $750 billion US money pit at risk, we need to consider two practical issues. Prior to a terrorist act, the victim will almost certainly not have an agreement with the terrorist state for service of process. Saudi Arabia is not a member of any international convention on service of process. In the wake of JASTA, the Saudi government is likely to be disinclined to sign for any mail delivery from the Clerk of a Court. So service of process on the Saudi Arabian government will likely ultimately have to be via diplomatic pouch. A copy of this 28-page document can be found here. The Post’s opinion is not the kind of endorsement an attorney wants for evidence needing to prove that any government acted in a reckless or intentional matter. So, any attorney who contemplates bringing a case against the Saudis for damages caused by the 9/11 hijackers needs to consider the potential of having to take more evidence. To show that the Saudi government had an agreement with or aided the 9/11 hijackers, there are two sources of evidence. One source is in the files of US government officials. Collecting such evidence will likely require many FOIA filings –which, in turn, will likely be rejected because the requested documents remain classified. Alternatively, evidence may exist in files of officials in Saudi Arabian government. As Saudi Arabia is not a member of the Hague Evidence Convention, a request for judicial assistance will need to be made by a letter rogatory delivered by diplomatic means. In short, while JASTA allows litigation to be brought against Saudi Arabia [or any other nation that sponsors or supports terrorism] for the damage done by the 9/11 hijackers, anyone who contemplates taking such a case should be prepared for an uphill battle. For now the Saudi money pit seems safe. Furthermore, it seems unlikely that we will alienate Saudi Arabia as an ally or that families of the 9/11 victims will be receiving any compensation any time soon. When it comes to JASTA, the true controversy lies in its amendment of the FSIA. The diplomatic world has no shortage of issues to negotiate that impact the wealth of nations, international trade and world peace. What the diplomatic world does not need to do is spend time advancing private causes, like trying to negotiate a settlement to a lawsuit involving a diplomate’s country and a party that is residing in another country. It was for this precise reason FSIA was enacted: To limit the number and types of lawsuits Americans could bring against foreign nations so that the Department of State did not experience opportunity cost attempting to mitigate the parties to these lawsuit. Indeed, reversing a 40 year trend, JASTA explicitly authorizes the Department of State to intervene in legal actions that are brought under this At. JASTA will act like a dagger in back of the diplomats of the State Department. The State Department’s need to intervene in litigation will create a distraction that will keep the Department of State from minding important issues that impact the entire country. While the individual losses of the 9-11 victims and the individual losses of all victims of terrorism need to be addressed, JASTA in its present form is not the best method to provide such redress. So, it was unsurprising that within a week of JASTA’s passage, many of its supporters were expressing their regrets and demanding modifications to JASTA. The only question is whether the modifications will occur in the courts or in Congress.